Life's Best Secrets: Wedding Preps Series: Church Booked for the Big Day! To be honest, we booked the party venue first. It was the very first thing we booked. It was because we did not have any church in particular where we wanted to have our ceremony then. So we booked the party venue hoping there would be a church nearby that would fit our criteria. I guess it's all meant to be. After booking Light of Love, I researched on possible churches where we can hold our ceremony. 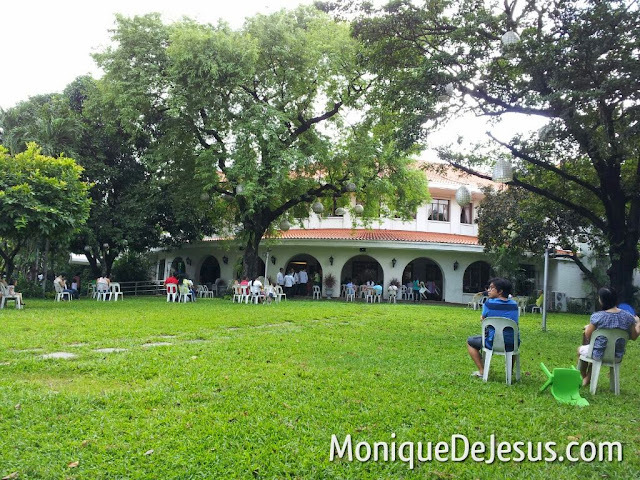 My top choice was Sanctuario de San Jose in Greenhills. It's also small and the area is very private, being inside a posh village. The rate is very posh as well. :p It's at 30k or 35k if I'm not mistaken which was too high for me. I told myself I'll keep looking. I am so thankful for this blog I chanced upon where I discovered AP. It's the first time I've heard of the place and when I saw the photos (and rate), I immediately knew this is the church. I was so excited. I couldn't believe it's real to get to have our wedding in such a beautiful and private place without having to shell out big bucks. It seems too good to be true. So I researched a bit more. 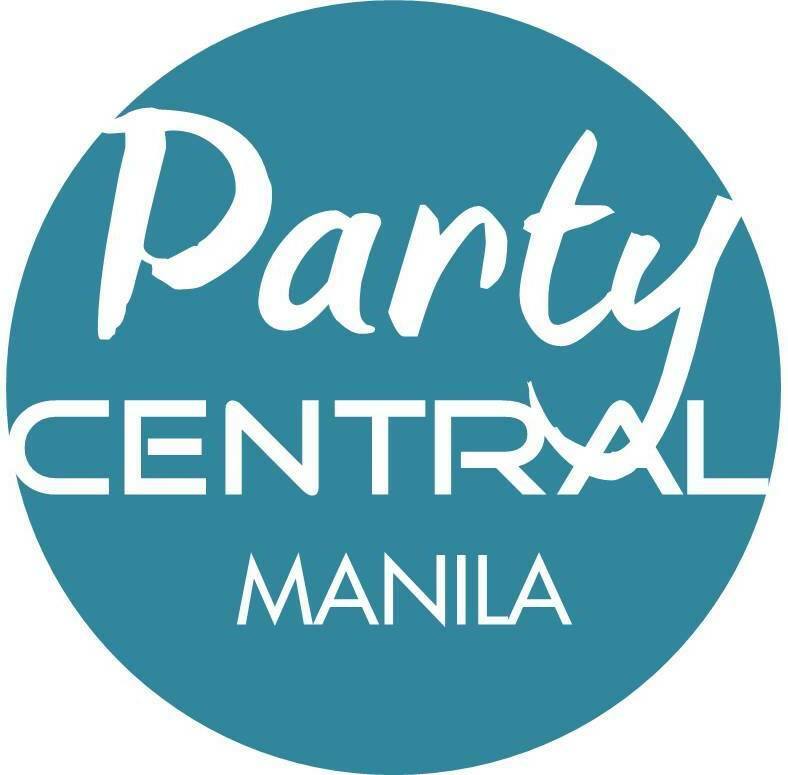 I crossed my fingers hoping that it's a feasible partner with our party venue in terms of location. We attended mass one Sunday, to see the place for the first time, and test the route from the church to our party venue. It's not bad at all. On that day we went to AP, my fiancè said that we will not do an actual church hunting anymore. This is our church. Being inside the villa makes me feel like I'm in a retreat house, far from the city. It's so serene inside. One can really say that the property is well-maintained. I never thought we can find something like this in Manila. If you are not familiar with AP, let me give you a brief background. 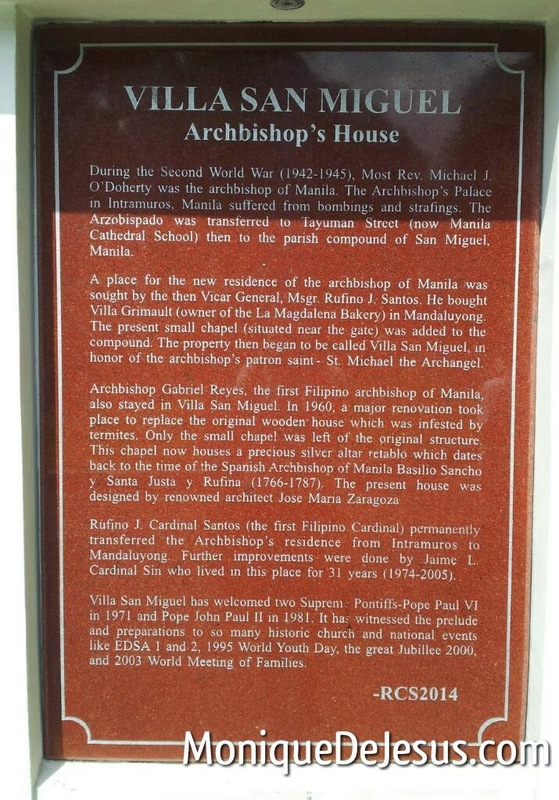 It's Archbishop's Palace then when it used to serve as home to archbishops, but now it's called Villa San Miguel. It's patron saint is St. Michael Archangel, which happens to be my birth patron saint. It's a private villa with beautiful landscape which houses two chapels, the big and small chapel. 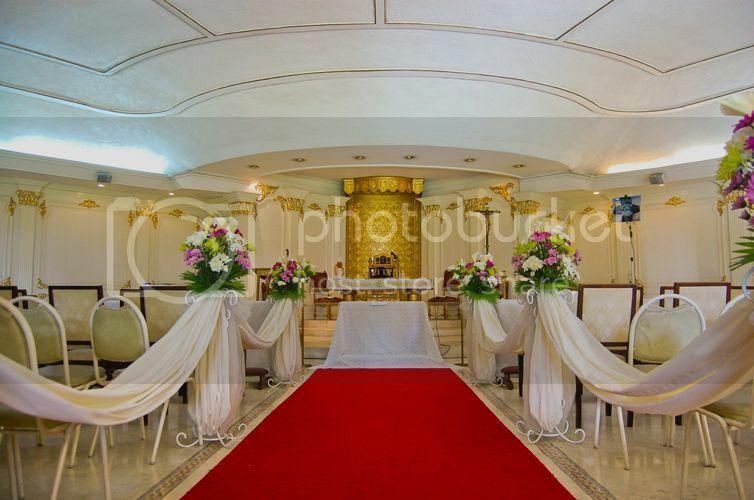 The big chapel is air-conditioned and can accommodate up to 150 guests, it's of beautiful modern white and gold interior. The small chapel is on the second floor and can accommodate 70 guests. It's non airconditiondioned and of dark wood interior. It's also beautiful, perfect for really small weddings. We booked the big chapel. The aisle is short, but we can extend the red carpet up to the garden outside the chapel. They do it all the time. It looks really nice to walk down the aisle in a garden, for a moment there you'll feel like you're having a garden wedding ceremony. Here are the wedding requirements of AP. For the small chapel, fee is Php 5,000. The fees do not include the flowers, choir or vocalist, pianist and you must get your own priest. Though they will provide the sound system, piano and microphones. They don't have a player. 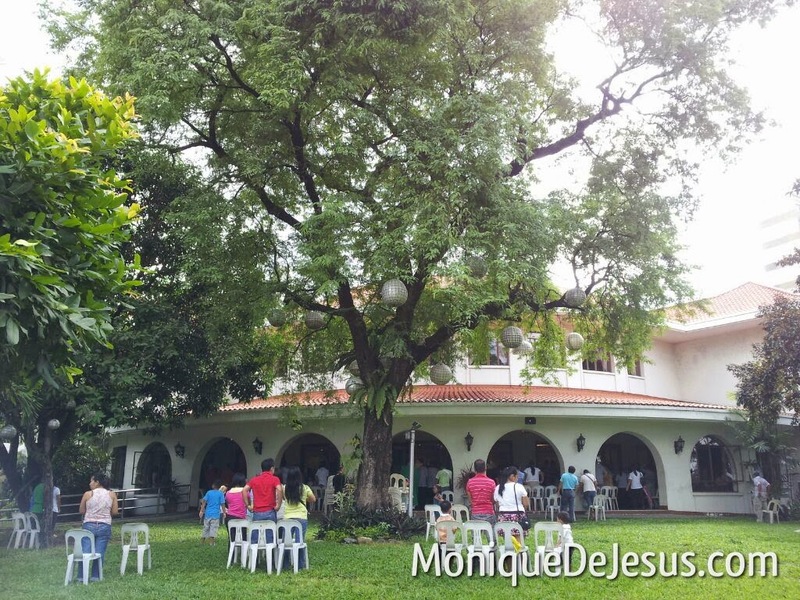 Since they are only a chapel and not a full-pledged parish, they also do not hold pre-cana seminars. Good thing my mom is active in our own parish and she can definitely help me with these things. There are also additional requirements you need to secure from AP's parish which is the Sacred Heart of Jesus in Acacia Lane (nearby). And there are requirements you need to pass to this parish as well. It was Bro. Mart who's in-charge, but he said that before our wedding day, he could be replaced by someone else as he's going back to the seminary. He's very nice and patient with our questions. 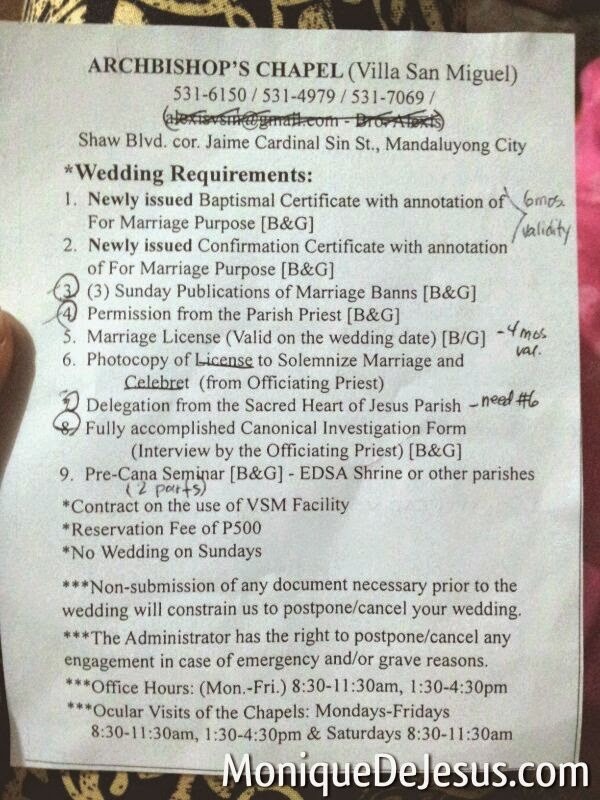 We paid the P500 reservation fee which is not deductible to the wedding fee and he explained the requirements above. You are heaven sent; I just prayed to St Michael the Arch Angel to help me with a priest and there appeared your site. Now I know my next step, need to go to Fr Martin at Sacred Heart Acacia Lane. Thank you thank you. Hello, probably u are already married by this time. 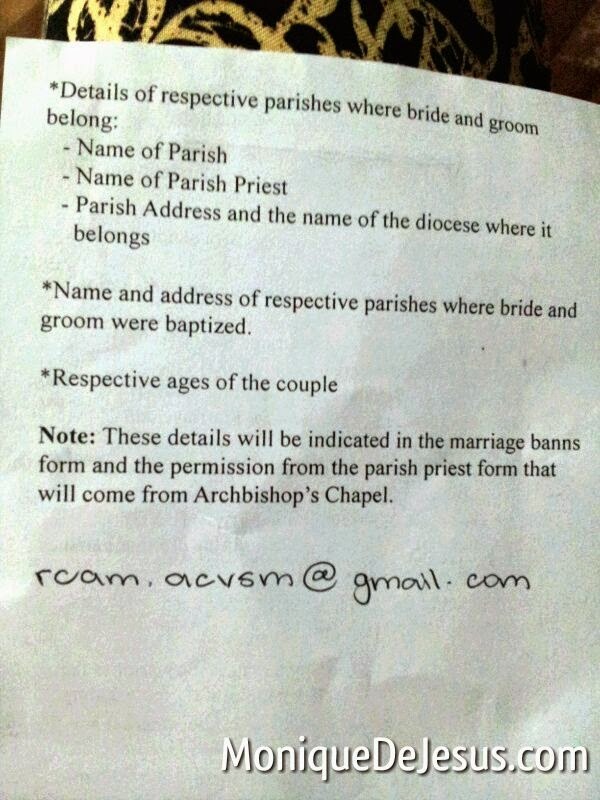 May i also know who is the priest i can contact to officiate our wedding. That is also my next step for our wedding prep. Thank u so much in advance. This was also our wedding venue. So glad to have found this serene and beautiful church in Metro Manila. rate for the small chapel? & when is your wedding? For the big chapel If I remember it well, it cost 14,000 or 15,000. May I know where you cater your reception? Or do they cater it too? hello sis. may i know san ka kumuha ng singer sa church? Hello wehwalen, Infinite Soul who performed in our party also played music during the ceremony- it's part of the package. Hi Monique! I’m so glad I found this. Thanks for such detailed info about Villa San Miguel. Just hoping you’d know..do they allow a Christian (non-Catholic) wedding ceremony to be held here? We can invite our licensed Pastor officiate the ceremony. Thanks in advance! 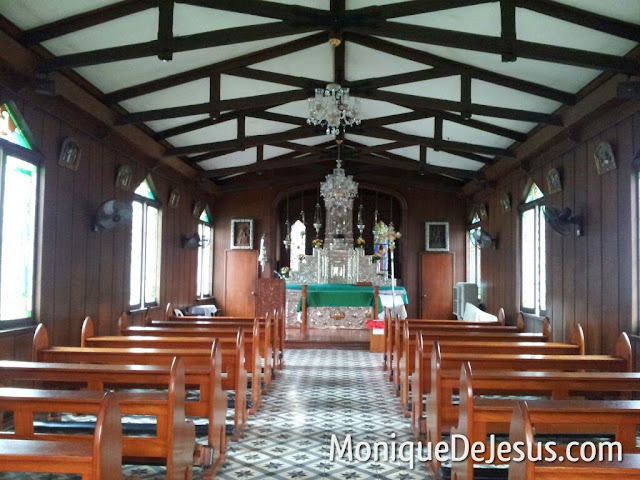 Hi Cristine, this is a Catholic chapel, I'm not sure if they allow Christian ceremonies. You can contact them to ask. Good luck on your wedding!